We understand the swimming pool is just a detail of the overall environment. We strive to create an outdoor space where quiet tranquil moments as well as activities for family and friends can be experienced to the fullest. Our pools are the centerpiece of the environment. Every detail is customized to the needs of our customers. The result is a one of a kind creation. Just as no two families are alike, neither are their properties. Our client’s homes are situated from beachfront sites to sprawling estates to the challenge of rocky hillsides and smaller spaces. Our experience and expertise in pool design and construction are essential in order to reflect the spirit of both the owner and their land. 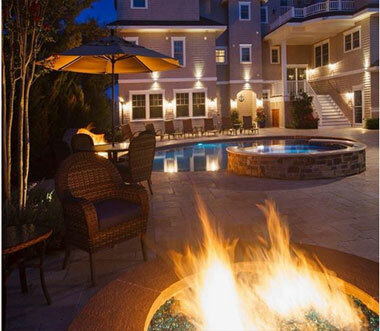 At Brunetti Pools, we strive to provide our clients with uncompromising quality at the best possible value. This is a commitment unrivaled in the pool industry. Our product must have the finest quality and craftsmanship. With proper maintenance, our pools are guaranteed to withstand the test of time. 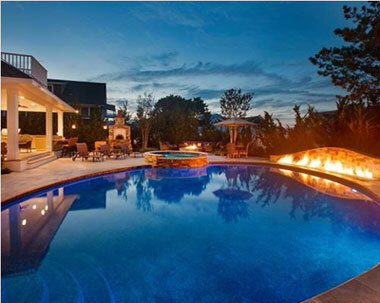 Experience the quality and commitment of Brunetti Pools, a recognized leader throughout Southern NJ in the construction of luxury swimming pools at competitive prices. We understand that your back yard is an extension of you and your home. Our distinctive, custom gunite swimming pools can reinvent that space into a private oasis where you can escape the daily grind, while staying within your budget. We don’t stop there, We also offer renovation, maintenance and repair services. The process of creating your back yard dream can seem overwhelming, but we make it easy. We provide peace of mind by keeping you in the loop throughout the process, without cutting corners, while maintaining your budget.